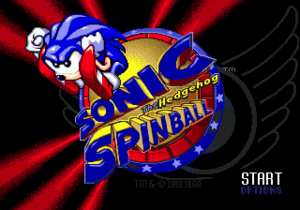 Sonic the Hedgehog Spinball title screen. Sonic the Hedgehog Spinball (also known as Sonic Spinball) is a pinball game in the Sonic the Hedgehog series. It was originally released for the Sega Genesis in 1993 and later ported to the Sega Game Gear system. It was also released in 1994 on the Master System in Europe by Sega Europe (which is one of the last games made for the system and is quite hard to find), this was later released in Brazil by TecToy and in Portugal by Ecofilmes in 1995. This version is a port of the Game Gear version. 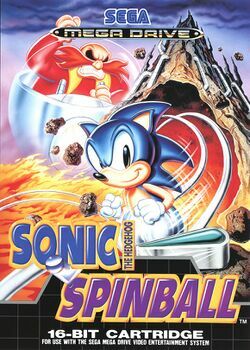 Sonic Spinball was later released as part of the Sonic Mega Collection Plus.